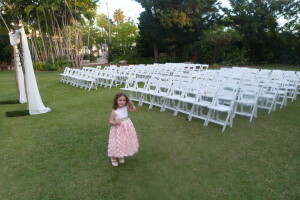 Ingrid and Leo’s Wedding at the Miami Beach Botanical Gardens. 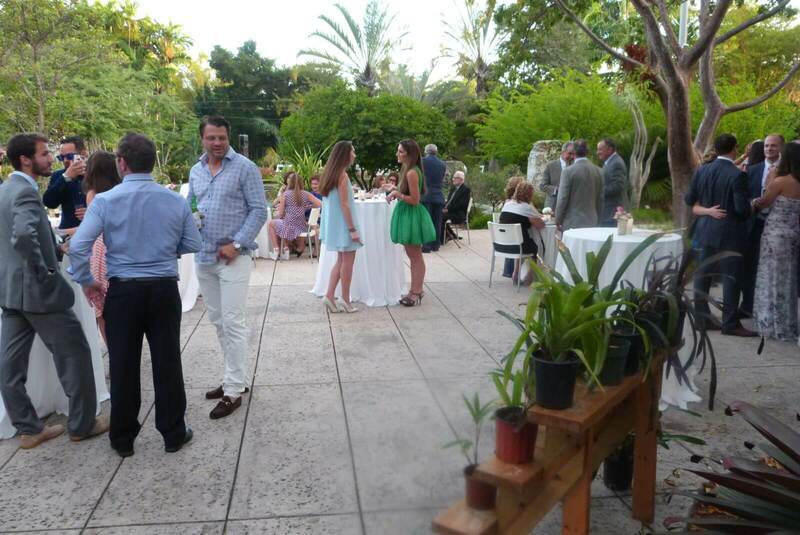 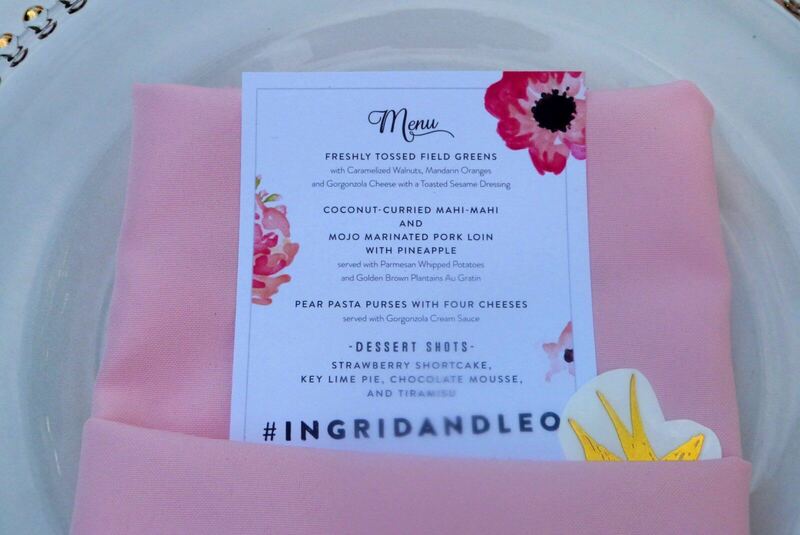 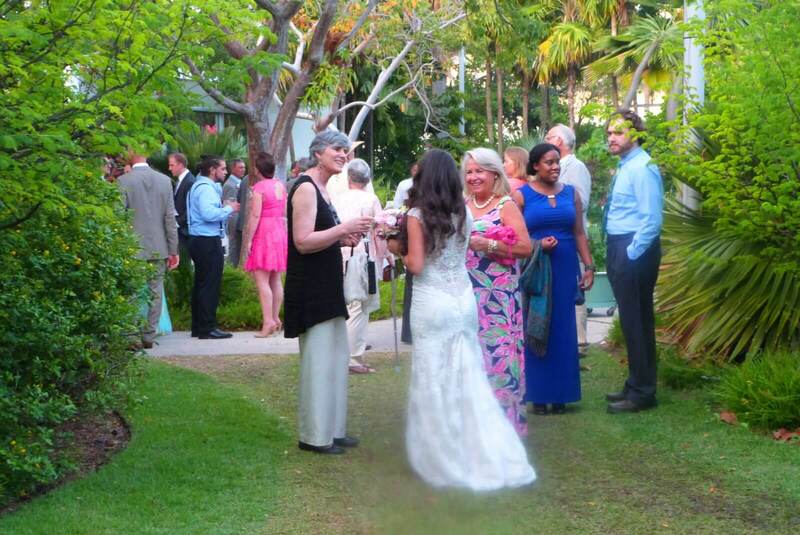 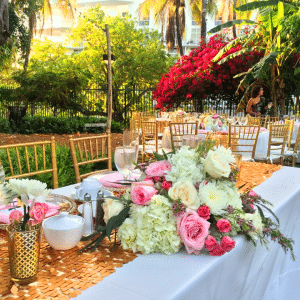 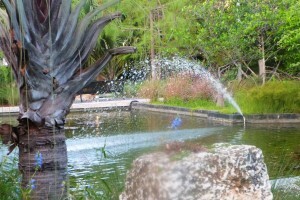 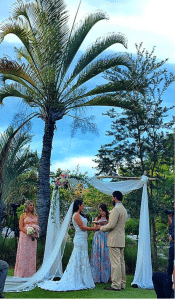 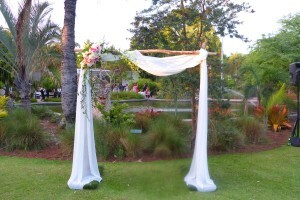 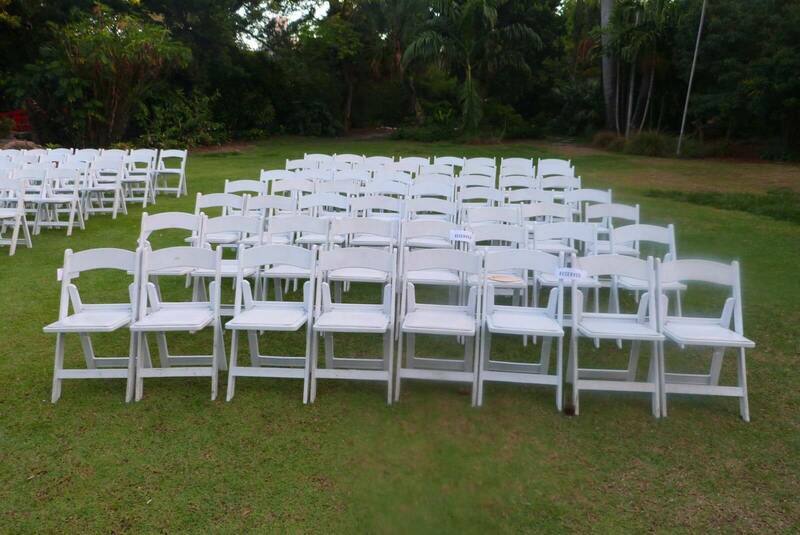 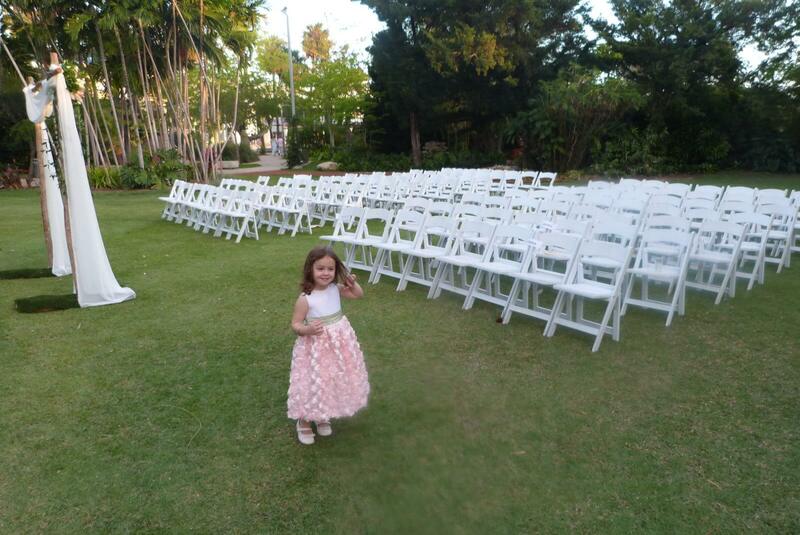 Ingrid and Leo were married on April 11th, 2015 at the Miami Beach Botanical Gardens. 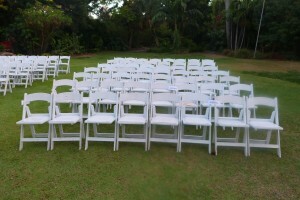 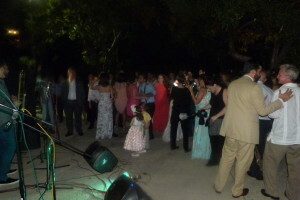 An intimate wedding of 110 guests, the couple was always adamant about having a simple, yet beautiful and classy wedding. The bride wore a lace, sweetheart neck gown with a cathedral veil to match while the groom wore a beige tuxedo. 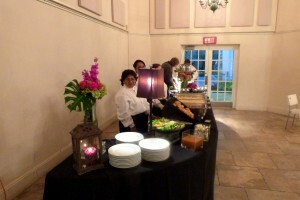 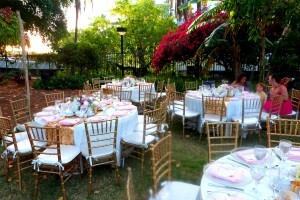 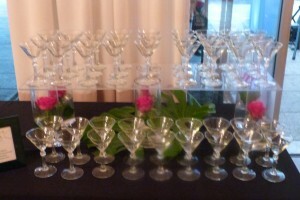 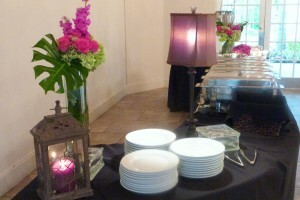 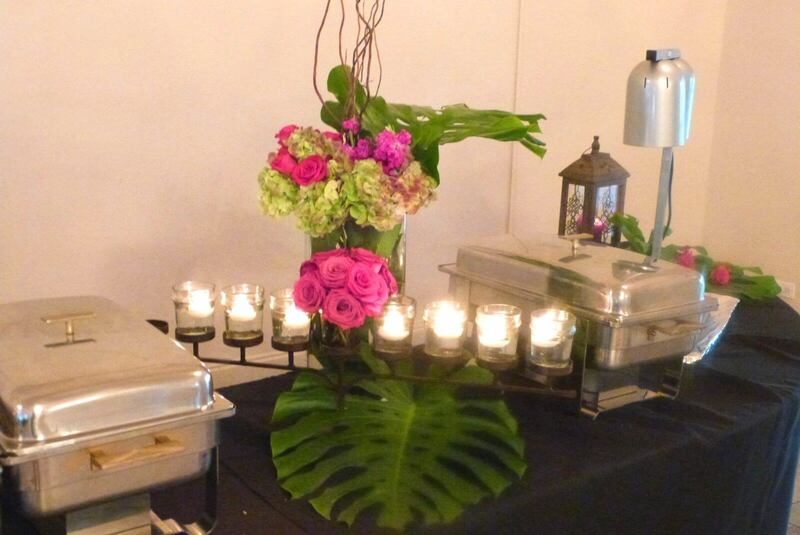 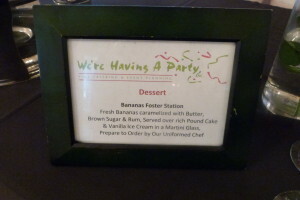 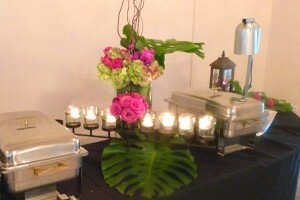 The floral centerpieces and bouquets consisted of white flowers with a pop of pink and green. 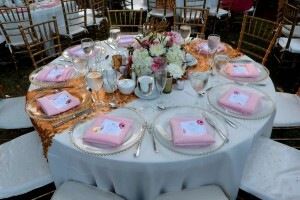 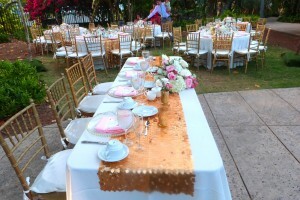 The tables were draped with an ivory linen to the floor and a gold runner provided by the bride. 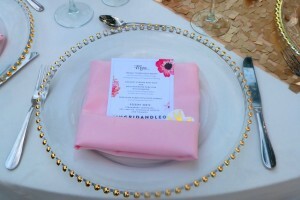 On the tables are gold beaded glass charger plates, a menu card (done by the groom) wrapped by a pink napkin, which all add a touch of elegance to the tables. 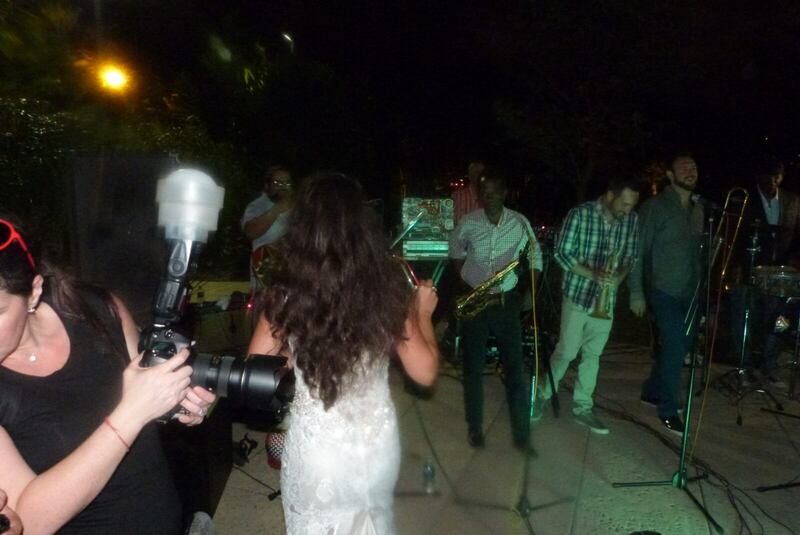 Friends of the couple surprised them with a live band!